Some time ago I wrote article How to decode stereogram by Photoshop. 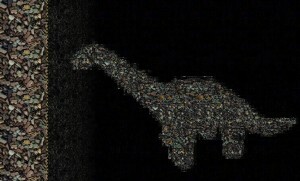 I made a small experiment and it’s possible to achieve similar results by GIMP. 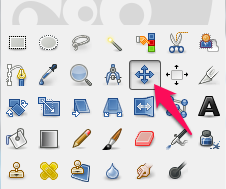 Open file in GIMP. 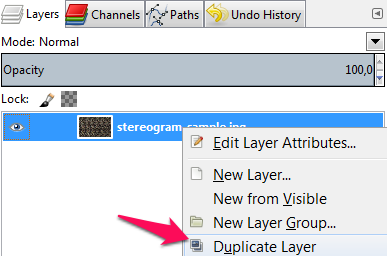 Duplicate the layer. Change layer mode to Difference. 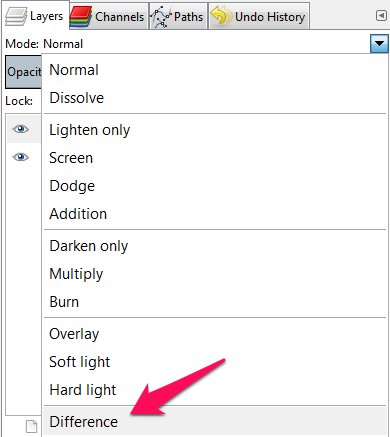 Select Move tool from GIMP toolbox (M). Start moving the layer to the right. You can use arrows to move the layer. If you prefer mouse then click, press and hold CTRL key to avoid shifting in both X and Y axes. 9. 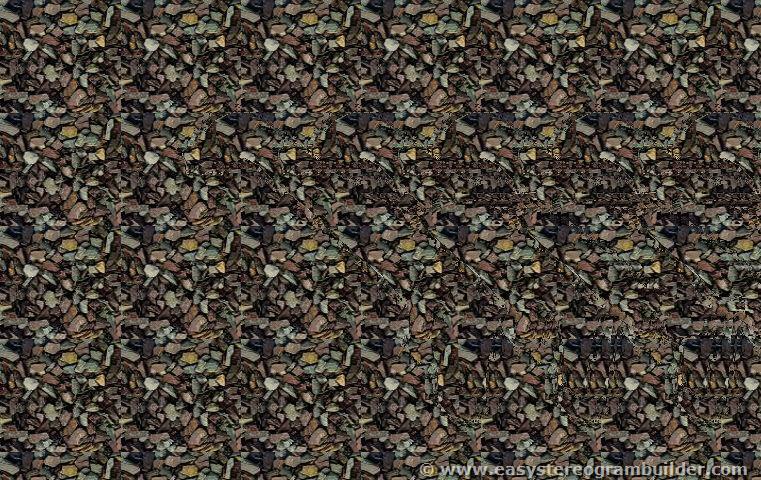 May 2015 at 20:29 - Graphics (Tags: decrypt, Gimp, layer, magic eye picture, stereogram). Both comments and pings are currently closed.